The Indiana Supreme Court recently reversed and remanded decisions in two similar family law cases regarding termination of parental rights due to a technical legal error. This means both individuals in question will have the opportunity to once again assert to the court why the state should allow them to retain their parental rights. Gary family law attorneys recognize that these are some of the most wrenching cases, and the courts will decide them on the basis of what is in the best interest for the child. A termination of parental rights ends the legal parent-child relationship. Once this is formalized, the child is available to become legally placed for adoption and is potentially eligible for certain state-provided benefits. Our Lake County divorce attorneys are seeing an increasing phenomenon of older individuals who are seeking an Indiana divorce.While enduring a divorce at any phase in your life is going to be generally unpleasant, there are pros and cons when it happens in your golden years. While most people who divorce in their 50s and 60s don’t typically have to wrangle with the issue of child custody and child support, there are often still going to be issues with property distribution and discussions about alimony. What is perhaps most concerning for an older couple enduring a divorce is what it’s going to mean for your retirement. You may have gone years planning for time of travel and relaxation with your spouse, only to find yourself divorcing and completely unprepared. Sadly, it’s not just Indiana where this is happening. In fact, recent figures released by the U.S. Census Bureau indicate that in the last two decades, the divorce rate among individuals aged 48 to 66 has soared more than 50 percent. We’re going to continue to see these numbers rise as Baby Boomers get older. As any financial planner will tell you, divorce can impact your retirement account, your pension access and Social Security. However, you shouldn’t let this discourage you from seeking a fresh start. Divorce in older age can seem daunting. 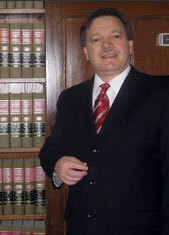 However, with the help of an experienced Lake County family law attorney, the details are not impossible to work out. There is no reason you should suffer through what could be decades of an unhappy relationship when you have the right to peacefully enjoy the rest of your days. Set up your own credit line and close any joint accounts. Once a divorce is final, you won’t be able to rely on your spouse anymore, so it will be very important to develop your own credit history. If you don’t have one, this is one of the first steps you should take. This is going to be the means through which you’ll be able to buy or rent a new residence or get a loan. Know the details of the debt you share with your spouse. Check your credit report. Even if your spouse was the one who ran up the high debts, you could still be held at least partially responsible, so it’s a good idea to at least know where you stand. There are ways that a good attorney can help negotiate for you so you aren’t stuck paying for frivolous expenses that your spouse racked up, or ensure that your spouse will be responsible for debt you accrued while paying bills or caring for your children. Reconsider before using your retirement funds to pay for divorce expenses. Investing in a good attorney is important, but you may want to consider other ways to do that instead of taking it out of your retirement fund. You aren’t likely to get that money back, and if you take it out in a lump sum, you’ll likely have to pay heavy penalties and taxes on it. Get all of your retirement and financial documents together before you meet with an attorney. This means your tax returns, bank account statements, investment documents, IRA’s – everything. This will help your Indiana divorce attorney determine where you stand, and help us figure out your best options. When some people think about getting divorced, they think about the split in general terms — how they are going to be able to afford renting an apartment and paying monthly bills? But often, soon-to-be divorcees don’t consider the financial implications beyond those basic terms. A recent article on Nasdaq.com looks at how divorcees can expect to build their credit after a divorce. When people are tied together financially, they may not realize how some joint decisions have affected their standing with creditors.This is especially true today, as many Americans have seen their credit scores fall significantly as they deal with foreclosures and short sales after their houses have depreciated in value. If a couple has lost their house to an Indiana foreclosure, it’s possible that their Indiana divorce is going to feel the effects. The job of an Indiana divorce lawyer is to do what is in the best interests of the client under the laws of the state. Division of assets and child custody or child support issues are going to be big in the eyes of the divorcees. But a lawyer should also be thinking about the things not considered by the client. That often includes tax implications of getting divorced, how their debts will be paid off and who will be responsible for certain costs incurred by both parties. The article offers some tips for divorcees about how to improve their credit scores after they complete a divorce. A joint credit score may get them by in life, but once they split, they can be exposed for having poor credit and that can leave them helpless if they don’t have a good credit score and can’t obtain loans. Pull the credit score: The first step is to see where the divorcee stands. Scouting the files for late payments or collection accounts can help point out red flag issues that will hurt the person’s chances of getting credit in your own name. About 70 percent of Americans don’t do an annual credit check, which they can do for free under federal law. This often leads to people bringing financial baggage into a marriage and they can leave the marriage with that same baggage when they try to go out on their own. Fix any credit report mistakes: This is critical because if there is inaccurate information, it can make moving forward that much more difficult. Creditors and banks can misreport data and only you can correct it. Even if a divorce agreement states who should pay off which joint debts, if they don’t, it can hit your credit score. Nix the joint credit obligations: A divorce is about splitting and cutting off financial ties. The last thing you want to do is hold any joint accounts anymore. As mentioned above, the other spouse could continue using a credit card account in both people’s names and if they make late payments, it can affect your score, too. Open a secured credit card: Secured credit cards can help people with poor scores build their credit. Secured cards require people to deposit an amount into the account, which creates your spending limit. This gives the creditors some assurances that you will pay. Pay all your debts on time: The last thing you want to do is start getting behind on payments right out of the gate. Thirty five percent of your FICO score is based on your payment track record. So, missing payments can sink you in a hurry. Pay on time and you can start to get your credit fixed.